– The lights on the plane/spoon flash, keeping little billy amused. 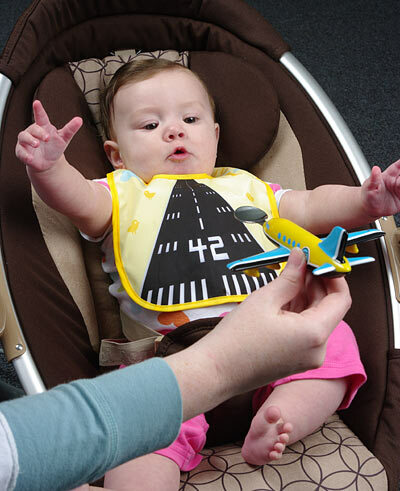 – When the plane closes in for a landing, the runway lights on the bib start flashing, helping you land that plane safely into his mouth. Couldn’t be simpler. Does not include air traffic controller or FAA license.